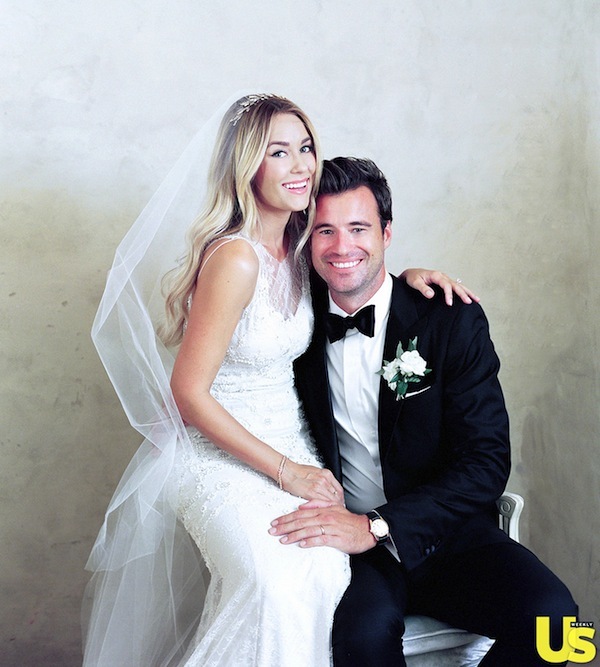 For all my fellow Hills fans (and those who remember Laguna Beach) the delectable Lauren Conrad married beau William Tell and we finally got to see the pics in this week’s US weekly magazine. Lauren had one of my own wedding touches, mini apple place settings but today we’re just talking bridal, here’s how you can steal Lauren’s style. Lauren wore a bespoke lace Badgley Mischka gown with a mind-blowing 10 foot train! And that wasn’t the only stunning detail, the dress was cut low with her back covered in the finest lace. One designer famed for beautiful backs and delicate lace details is Claire Pettibone. So many of her dresses would fit the bill but I’ve chosen the Iris as it has the most similarities with Lauren’s couture creation’s shape. Like most brides Lauren was unsure about a headpiece right up until the day itself but once her gold leaf design slide was pinned in place she felt ready to walk the aisle. To steal her style centre part meticulously tousled waves, leaving the front loose and pin a small section at the crown – as you would for a half up, half down style. Then simply slide in a leaf motif comb like this one by Stephanie Browne just above the fastened section of hair. 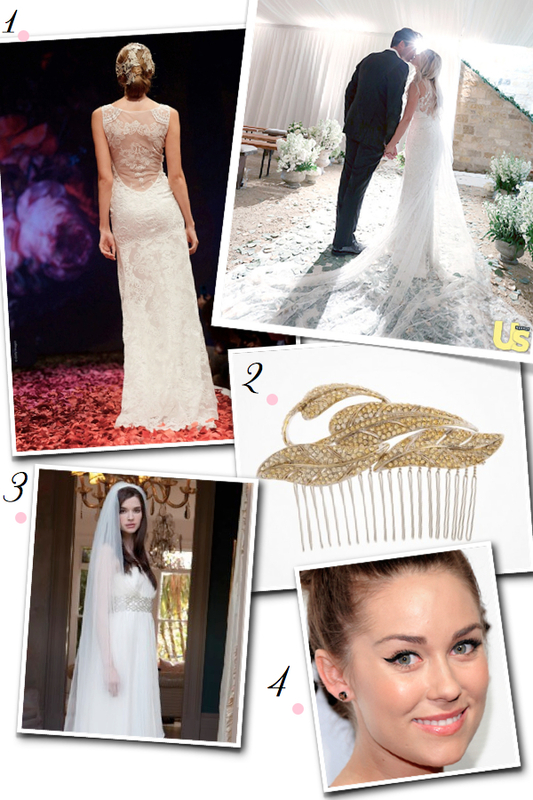 Lauren wore a long single tier veil, secured just below her gold headpiece for the ceremony. To achieve a luxury look be sure to buy the softest sheer tulle. Not breaking with her tried and tested signature style, Lauren wore kitten flick eye liner and soft pink lipstick. To DIY the look you can’t go wrong with superstar Make-Up artist Lisa Eldridge’s video tutorials.